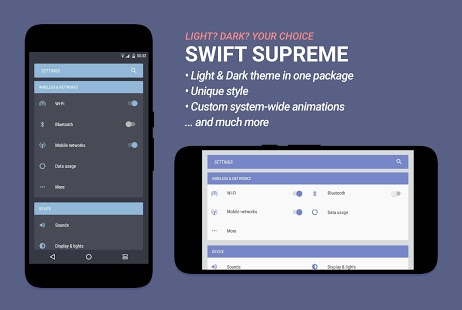 Swift Supreme is a theme for the CM12 / CM12.1 / CM13 / COS theme engine, with constant support and frequent updates. 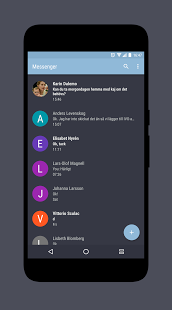 It includes a light theme and, with the use of Arcus, a dark theme. Question: There are issues with my notifications after updating the theme, for exemple dark text on a dark background, or a light text on a light background. Answer: A reboot will fix this. Sometimes resources get "stuck" when switching themes. Like the notification text color in this case. By rebooting you force the system to reload all resources. This is a theme engine bug, not a theme one. 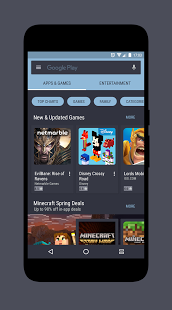 Question: Play Store is not themed after updating the theme. 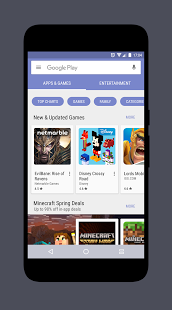 Answer: This is due to Play Store having trouble picking up the theme resources after an update. A reboot will fix this. 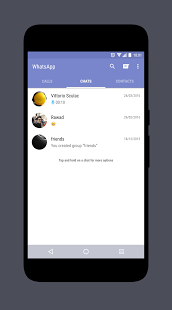 Question: Can you theme Telegram? Answer: No. Telegram colors are all set in the java code, which means they are hardcoded and can't be changed. 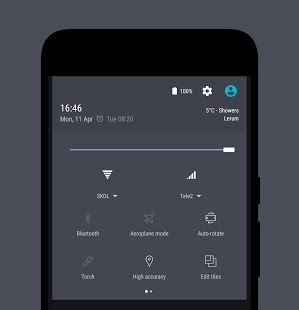 The theme fully supports CM and COS12.1 ( Cyanogen OS ). 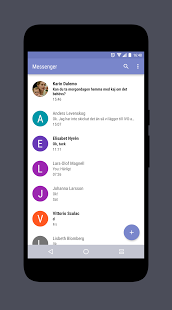 Custom ROMs with the CyanogenMod theme engine included, for exemple Dirty Unicorns and Resurrection Remix, are supported but there might be issues as I can't keep track of all commits everywhere. If you find some missing icons or any other issue with these ROMs please contact me and I'll look in to it.